First off, congrats!!! I hope you are having fun wedding planning! And I can totally relate on feeling that pull to be a mother early on. I felt the same way- for as long as I could remember too. And thank you for all of the kind feedback. I think already thinking about being a SAHM in advance is great. I was sooo not prepared. I thought there was no way I’d want to stay home, and was actually kind of judgmental towards SAHMs! Oh how naïve and ignorant I was! And I was very unprepared for how strong the desire was to be home with my daughter once she arrived. So already being aware that you might want to be home will automatically set you up for success. For more logistical advice, I think there were two major things I didn’t do that I think would have helped us. Do you own your home? If you haven’t bought your first home yet, I would go into the process of pre-approval, etc. only on your fiance’s salary. That way your mortgage will be something you know you can afford without your income. Also, try to only have one car payment at a time. We made the rookie mistake (that a lot of new expecting parents make) of thinking we needed a bigger car because we had a baby on the way and went out and financed a new car with a new 5 year car loan while I was pregnant. Big Mistake! If you have two car payments at the time, see which loan balance is lower and see if you can pay it off with income tax, etc. And yes credit cards are always something we’re battling to stay on top of, too. Look at your monthly expenses, and see where you can cut back. Maybe cancel cable and subscribe to Netflix? Little things like that can help. But when there is a will, there is a way and it is not impossible! When the time comes you will find a solution, even if that solution is finding a part-time job or working in a daycare where you can bring along your little one or watching children in your own home during the day. 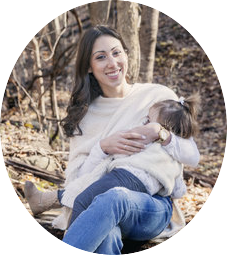 In my opinion, the first 9 months – 1 year is the most demanding and when your infant will need you the most (especially if you are breastfeeding) and the minimum goal I would try to set for staying at home. Also, you can ask to reduce or compress your work schedule (I did this before staying home full-time) after the baby is born if you really can’t stretch it financially. I know you didn’t ask specifically about pre-conception, but I thought I’d give you some things to think about before you head down the path of trying to conceive. These are things I would recommend doing at least 6 months before starting to try or “not prevent” pregnancy. Go off the pill! I know this is a super scary one, and you will probably have to use condoms during this time. But there has been a growing population of medical professionals who believe the pill can and does have an effect on a woman’s future fertility. (I was on some type of contraception for 10 years before thinking about pregnancy!) I would recommend letting your body start to cycle on its own again for about 6 months before trying. This will give your body some time to regulate itself and give you a better idea of what your natural menstrual cycles are. This will also clue you in on if there’s any issues you may need to get sorted out. Adapt somewhat healthy eating habits. I’m reading this really interesting book titled How to Conceive Naturally about natural fertility at the moment, which details out a “preconception plan”. The premise is that your diet can greatly affect your hormones/menstrual cycle and your fertility and chances of getting pregnant. Not to mention, your nutrition status at the time of conception will affect the health of the pregnancy and the baby so it is important to think about! They recommend (well, a lot of stuff but I’ll tell you the basics). Cutting down caffeine (switch to half-caff coffee) or drop down your coffee intake a little at a time (when you get pregnant you’re going to have to do this anyway). I was/am a huge coffee drinker and one cup a day is fine (However, I do drink half-caff now), this is more so if you are ordering venti espressos from Starbucks multiple times a day. Taking a high quality pre-natal vitamin made from whole foods that contains folate, not folic acid (one you can find at a whole foods or local health food store). Mykind Organics Prenatal Multi is a great option. Eating organic when you can and lots of greens. This is because of the toxins used in the pesticides and also the GMO versions are much less nutrient dense than the good old-fashioned version. Avoiding soy (it has a TON of estrogen in it which can interfere with your hormones). Adding a tablespoon of culinary coconut oil as well as Vitamin D drops to your coffee or tea everyday. Coconut oil is seriously a magical potion that cures everything! I use it as lotion for my daughter as well. Vitamin D is a great supplement that helps all types of things one thing being your immune system! (I have yet to get sick this winter). 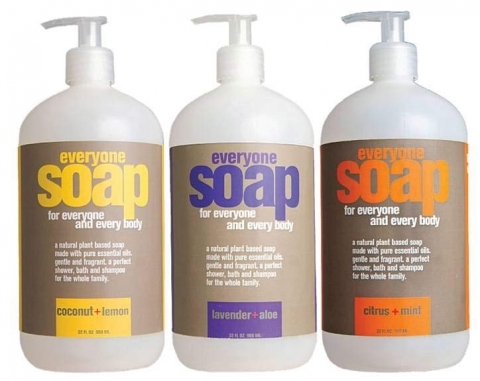 Switching your products to more natural substitutes (I love everyone 3-in-1 body wash and shampoo and their lotion for body products– you can most likely find it in your regular grocery store in the natural section). Also the app Think Dirty is great. You can scan personal products while you shop and the app will rate how “dirty” or “toxic” the product is. It will even tell you the “reproductive toxins” present in the product which is important when trying to conceive. I know it all sounds “holistically hippy” and you’re probably imagining me in dread locks making my own almond milk in my kitchen right now ha! but if you start doing the research you will want to do this stuff anyway trust me! And little changes go a long way. Even if you only do one of the above things, it will help get your body baby ready! Hope this helps! Good luck and keep us posted on your journey!!!! This entry was posted in Ask IM, preconception, Pregnancy, Pregnancy & Birth, Resources, returning to work, SAHM, stay-at-home-moms.